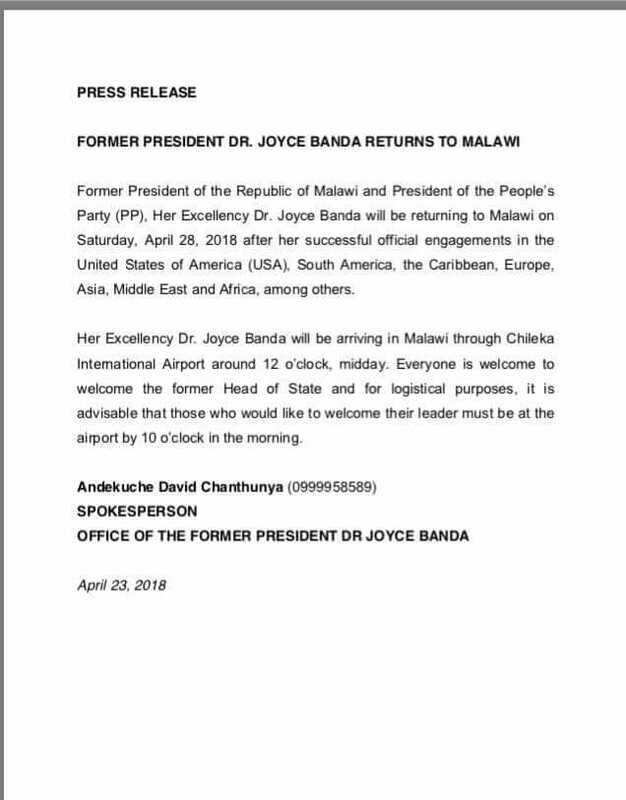 Information reaching faceofmalawi indicates that former President and Founder of opposition People’s Party (PP) Dr. Joyce Banda is scheduled to arrive in the country on Saturday. PP spokesperson Noah Chimpeni has confirmed of the development in an interview with Zodiak Broadcasting Station (ZBS). Banda left the country just after the May 20, 2014 tripartite election which saw President Professor Arthur Peter Mutharika of Democratic Progressive Party (DPP) emerging victorious.